Here is the full joint statement of the bishops of England and Wales and HMs Government about the Papal visit in September. And here is the new website where most of the announcements regarding the Papal visit will be made. The UK Government and the Catholic Bishops’ Conferences of Scotland, England and Wales today welcomed the forthcoming visit to the United Kingdom of His Holiness Pope Benedict XVI. At a joint press conference, they said that the Papal Visit represents an unprecedented opportunity to strengthen ties between the UK and the Holy See on global initiatives, as well as the important role of faith in creating strong communities. Her Majesty The Queen announced earlier today that the visit will take place from 16-19 September. It will be the first ever official Papal Visit to the UK – the visit by Pope John Paul II in 1982 was a pastoral visit only. The Pope will be received at the Palace of Holyroodhouse by Her Majesty The Queen. His Holiness will give a major speech to British civil society at Westminster Hall. He will also visit the West Midlands to beatify the nineteenth century theologian and educationalist Cardinal John Henry Newman at a public mass in Coventry. Other key elements of the visit will include a public mass in Glasgow, a prayer vigil in London and an event focusing on education. Relations between the Christian Churches will be a theme of the visit as will the relations between the major faiths. The Pope will visit the Archbishop of Canterbury at Lambeth Palace and pray with other Church leaders at Westminster Abbey. Full details of the Pope’s itinerary will be announced nearer the time. “This is an historic visit at an important time. The Pope will receive a very warm welcome from Catholics and people of all faiths. “As well as providing spiritual leadership to over a billion Catholics around the world, including six million in the UK, the Pope and the Holy See have great influence on global policy in areas such as international development, sustainability and the relationships between religions. “I am thrilled that the Pope has accepted the UK Government’s gracious invitation and I am sure he will receive a heartfelt welcome from Catholics as well as members of other faiths and people of goodwill. 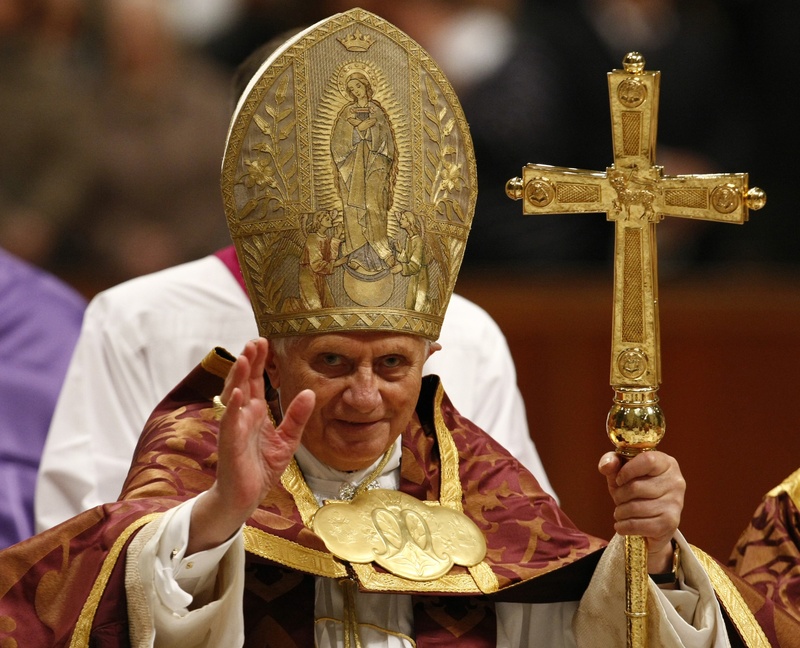 “As Catholics we are delighted to welcome Pope Benedict. We thank Her Majesty The Queen and her government for extending this historic invitation to His Holiness.